Four Princeton-area residents participated in a weeklong bicycle ride in October from Philadelphia to Fredericksburg, Va. to promote the East Coast Greenway (www.greenway.org), a 2,900-mile urban version of the Appalachian Trail that links cities from the Canadian border in Maine down to Key West in Florida. The four, Robert Russo of Belle Mead, Dan Rappoport of Princeton and neighbors Melinda Posipanko and Silvia Ascarelli of West Windsor, bicycled on everything from trails to quiet streets to roads with plenty of traffic, and across the National Mall in Washington. Together, they raised more than $11,000 for the East Coast Greenway Alliance, the nonprofit organization that is working with state and local partners to put more of the route on trails and quiet roads. The 325-mile ride is an annual event, but the location changes. The goal to ride one section of the East Coast Greenway a year (hence the name, the Week-a-Year Ride) and finish in Key West in 2019. The 2013 ride came through Princeton and West Windsor because the East Coast Greenway includes the D&R Canal Towpath from New Brunswick to Trenton. All 40-plus riders met with Delaware Gov. 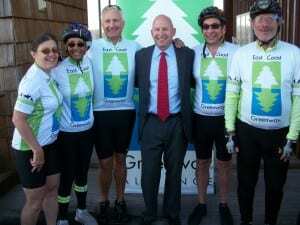 Jack Markell, who is considered the most bike-friendly governor in the U.S. By the end of 2017, 60% of the East Coast Greenway route in that state should be off roads. Overall, about 30% of the route is now off roads, and the vision is to get all of it away from traffic. Dan Rappoport has participated in three of the four rides so far, only missing the first, from Calais, Maine to Portland, Maine. In 2013, the ride from Hartford, Conn. to Philadelphia took him past his childhood home in Cranford. 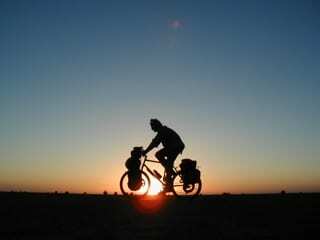 Riding down the East Coast, he says, is his substitute for the dream of a cross-country bike ride. The ride was Melinda Posipanko’s first multi-day tour. She loved how the Greenway crafts safe routes by connecting existing trails with quiet roads wherever possible. 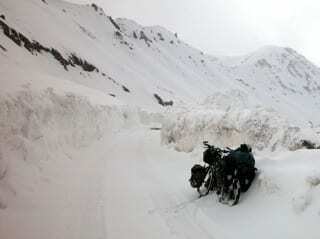 She was particularly impressed that the route did not go out of its way to avoid less fortunate neighborhoods in the cities and towns it passed through thereby enhancing the possibility that bike tourism will bring economic benefits to these areas. The 2015 version of the ride will pick up where this one ended, in Fredericksburg, and will end in Raleigh, North Carolina. This will be a more difficult ride than in previous years due to longer mileage and fewer greenway sections, so it will be geared toward advanced cyclists. Anyone interested in participating can email info@greenway.org for more information. “Now a resident of West Windsor, I grew up riding through the picturesque landscapes of Europe, savoring the rich history, unique architecture, and European patisserie’s and cuisine. New Jersey was the last, dead last, place I expected to rival that experience. I was wrong. It seems counterintuitive. You’d think that riding your own bike would be safer than riding a shared bike. But that’s not the case. 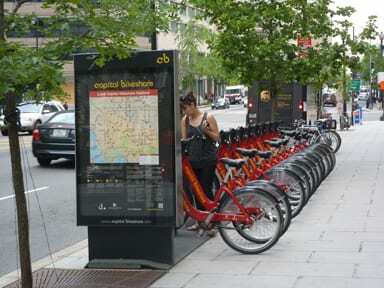 In Paris, London, and Washington, D.C., fewer people are injured when they use the new bike-sharing systems. In London, no one was seriously injured or killed on the first 4.5 million trips on what the locals call Boris Bikes (Barclays Cycle Hire system), while about 12 people are injured for every 4.5 million trips on personal bikes. So why does this happen? Professor Norman Garrick of the University of Connecticut speculates that it could be shorter trips on shared bikes. Professor Ian Walker of the University of Bath (England) suggests bike-sharers might be less experienced and “stick to safer cycling behavior,” or they “could be more dedicated cyclists with an above-average skill level.” Garrick adds that the shared bikes themselves might be a factor, since they’re more visible (often bright red or yellow) and slower. Tags: bicycle, Bicycle Tourism, bike sharing, Washington D.C.
About 20 people from West Windsor and neighboring communities headed earlier this month to Freehold and the Metz Bicycle Museum, a museum filled with what must be more than 100 bicycles collected over 60 years by a former Cranbury resident who, we learned, came up with the idea for those scalloped cement blocks to edge gardens. 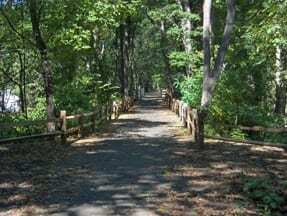 Most of us used part of the Henry Hudson Trail, a well-used, shaded and paved path on what was once a freight railroad line. We were accompanied from Marlboro High School by a number of local residents who gave us some extra local flavor: Freehold High School, Bruce Springsteen’s alma mater (we heard a few stories about him! ); the Battle of Monmouth monument; and lunch on Main Street. A smaller group of hardy cyclists peddled from West Windsor to Freehold (about 22 miles). They had the bright idea to stop for ice cream on the way home! Our youngest cyclist, 9-year-old Ashley, hitched her bike to Dad’s some of the time. We learned she’s a budding fashionista with real affinity for shoes. So guess what her favorite bike had? Here’s a new resource for cycling in Hunterdon County: www.bikehunterdon.org. The site features maps of local bicycle tours, including the Delaware & Raritan Towpath, Last Covered Bridge and Round Valley Roundabout routes. An interactive Google map feature allows potential riders to view amenities along the routes including restaurants, bed and breakfast and other lodging, as well as points of interest. A full list of all local bicycle shops as well as where to rent a bicycle is also included. It even includes routes outside Hunterdon County. Looking for other maps? Check the resources section of the West Windsor Bicycle and Pedestrian Alliance’s website. Want to cover New Jersey from north to south? Interested in a great, long ride in part of the state? WWBPA member Dan Rappoport has mapped the routes for you. Dan got the idea for the project about three or four years ago, but started creating the cue sheets in earnest two winters ago. The New Jersey Bicycle Route goes from Belvidere, near the Delaware Water Gap in the northwest, zigzagging to Cape May Point in the southeast in nine days. 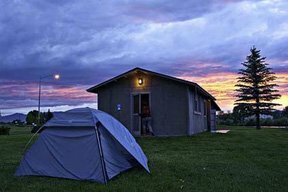 Daily distances vary from about 44 to 74 miles, with each day conveniently ending at a motel. 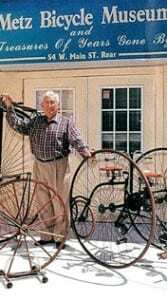 Dan also developed a New Jersey Bicycle Route Network of rides all around the state, with ways to avoid congested highways in densely populated parts of the state as well as routes in beautiful, rural settings. These rides range from 40 to 188 miles, though one could, naturally, break them down into smaller segments. 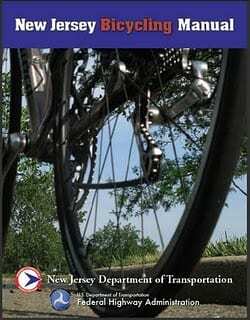 Dan also compiled a Bicycle Touring Resource Guide, including NJ DOT tours; New Jersey multi-use trails; Cycle Jersey 500 itinerary; cross-state, state-wide, multi-state, and regional bicycle routes and books. We hope you’ll try some of these routes. Thank you, Dan! 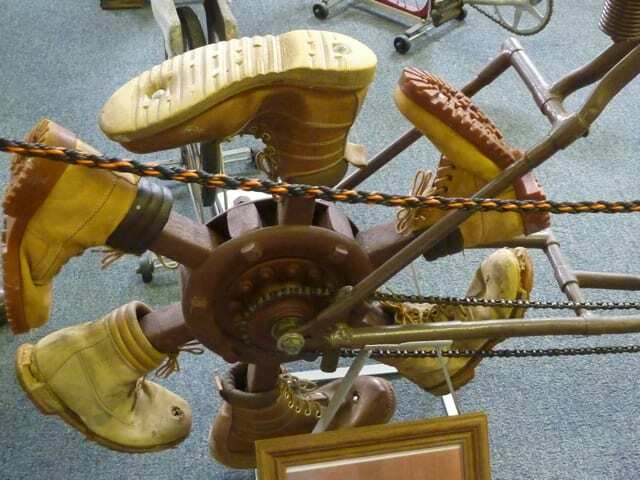 Join us for a bike ride along part of the Henry Hudson Trail, beginning and ending in Marlboro, with a stop in Freehold for lunch and a tour of the unique Metz Bike Museum, housing more than 2,000 items, including 125 of the rarest bicycles, childrens’ antique toys, gadgets, and mousetraps! If there’s time, we may check out some Springsteen sites in town. 11 a.m. to about 3 p.m. Cost: $10 adult (children under 12, $5) for admission to the museum. We’ll collect cash on the day. RSVP: wwbikeped@gmail.com. We must know how many people will join us, as the Metz Bicycle Museum tour requires at least six people and can only handle a maximum of 30 people at a time. Meet at 11 a.m. at the Bicycle Hub bike shop in Marlboro, where you can park you car. We estimate the route is about 8 miles each way. The Bicycle Hub of Marlboro is located on State Highway 79, one mile north of County Road 520 (toward Matawan) in Marlboro township. When using a GPS type navigation system use “239 State Highway 79, Morganville, NJ 07751. The manual includes lots of clear diagrams and photos to help cyclists navigate in a variety of situations (even how to share the road with pedestrians and horseback riders). This is an excellent resource for both novice and experienced cyclists. Read the WalkBikeJersey Blog review, but be sure to read the whole manual, too. Mark your calendars! Bike New York’s TD Bank Five Boro Bike Tour is Sunday, May 1, 2011. Registration begins at 10 a.m. on Tuesday, February 1. If history is any guide, it will sell out within days. Last year 32,000 people participated in this 42-mile tour of Manhattan, Bronx, Brooklyn, Queens, and Staten Island that lets you cross the Verrazano Bridge on a bike. There will be riders of all ages and abilities — and bike traffic jams. So if you sign up, be prepared to be extra attentive to what those around you are doing. The September 11th National Memorial Trail is being established as a National Historic Trail on the 10th anniversary of September 11, 2001 and will be a tribute to all those that perished in America’s single worse terrorist attack. 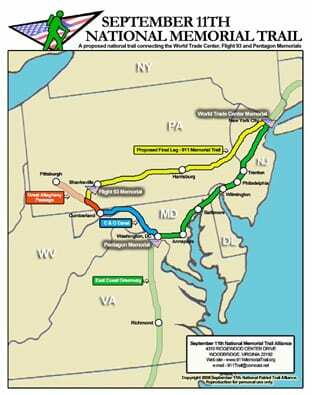 The route is to be a triangle that connects the World Trade Center, the Pentagon and Shanksville, PA, where Flight 93 went down. Much of it is on existing routes, including the D&R Canal/East Coast Greenway through West Windsor. Other parts still have to be determined, particularly the route from Shanksville to New York. Organizers aim to have the trail segments planned by September 11, 2011, and many completed segments dedicated. While this sort of trip may be more adventure than most of us can imagine (and are quite happy to just read about it), we can find adventure closer to home. Go for a hike in the Sourlands, wander through the Plainsboro Preserve or ride part of the High Point to Cape May bike route … there’s no shortage of possibilities if we, like Alastair Humphreys, just open our mind to it. The WWBPA would like to hear about your adventures. Help encourage others to walk and bike! Calling all cyclists–and anyone interested in watching a great adventure film as well as helping to benefit a good cause! Ride the Divide is an award-winning feature film about the world’s toughest mountain bike race, which traverses over 2,700 miles along the Continental Divide in the Rocky Mountains. 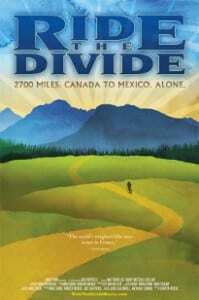 The film weaves the story of three characters’ experiences with immense mountain beauty and small-town culture as they attempt to pedal from Banff, Canada to a small, dusty crossing on the Mexican border. Friday, December 3, at 7 p.m. and 9 p.m.
Saturday, December 4, at 7:30 p.m. and 9 p.m.
at the ACME Screening Room in Lambertville. Extra attraction: Meet-the-Executive-Producer/Cyclist, Mike Dion: at post-film Q & A on Friday at 7 p.m. or at the Saturday Night Cyclist’s Reception at Chimney Hill Inn, Lambertville after the 7:30 p.m. screening. Mike Dion is one of the cyclists in the film who participated in the race. The Ride the Divide film project is helping to raise funds for Livestrong, a foundation that fights to improve the lives of people affected by cancer. Audience members can also do holiday shopping at the event and benefit a good cause. Cycling-related merchandise will be sold: 25% of proceeds after cost will benefit the Young Survival Coalition, young women facing breast cancer together, and 75% will benefit the ACME Screening Room film program. 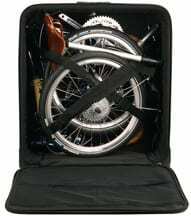 Bicycles are treated differently from other luggage when it comes time to check them for your flight. According to Delta Airlines luggage policy, a bicycle is charged $200 per flight – $400 for a typical round trip. While this may be reasonable for full-sized bikes in large boxes that require special handling, Delta notes that the bicycle charge even applies to a folding bike, which fits into a non-oversize suitcase and weighs less than 50 lbs, in a recent email clarification to Dave Schlabowske, Bicycle and Pedestrian Coordinator for the City of Milwaukee, Wisconsin. At this level of expense, bicyclists traveling for tourism have a good incentive to just buy bikes where they’re going an leave them on the street when they’re done. An inexpensive mountain bike can be bought for $200 – $300 at a bike shop, with plenty of gears for hill climbing, or as low as under $100 at national big-box retailers. Bicycle tourism is big business – a 2006 study found bicycle recreation and tourism added over $924 million per year to the Wisconsin economy, and a separate 2006 study found an economic impact of over $60 million annually to the North Carolina Outer Banks region. A 2000 study found bicyclists spent $166 million annually in the province of Quebec. There would appear to be no additional handling necessary for folding bikes, but Delta is charging the fee anyway, presumably because they think they can. If you consider this fee unreasonable, please contact Delta to ask them to reconsider this policy. How have you been treated on other airlines?